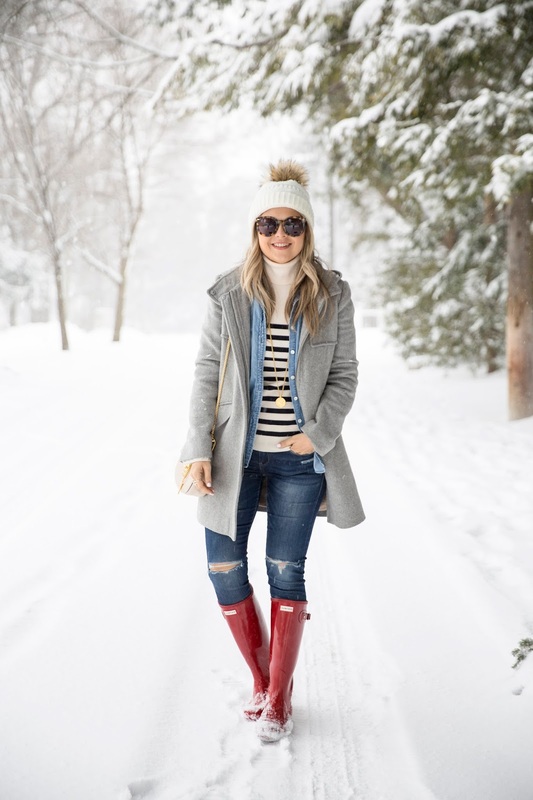 Another look from this weekend's winter wonderland :) Pulled out some classic favourites like these Hunter boots, stripe turtleneck and hooded coat for some fun in the snow. 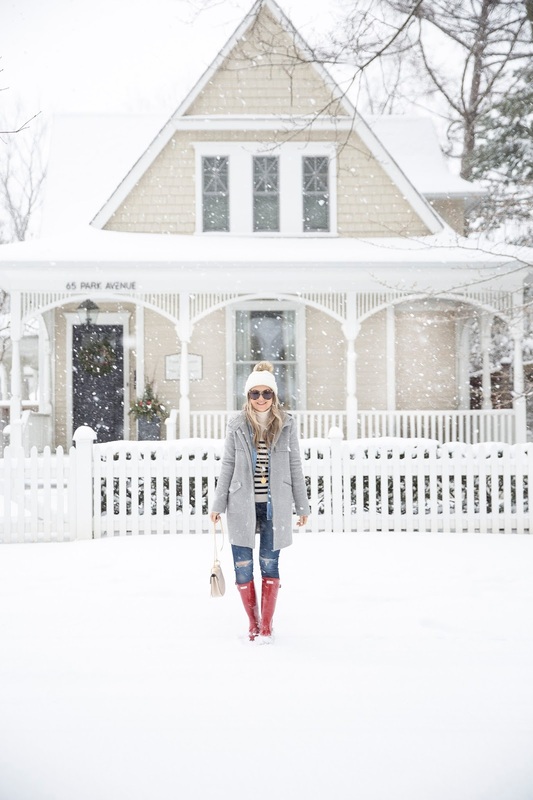 Although I must say, packing for warmer temperatures this week has definitely got me happy to be escaping the cold ;) More on that later! 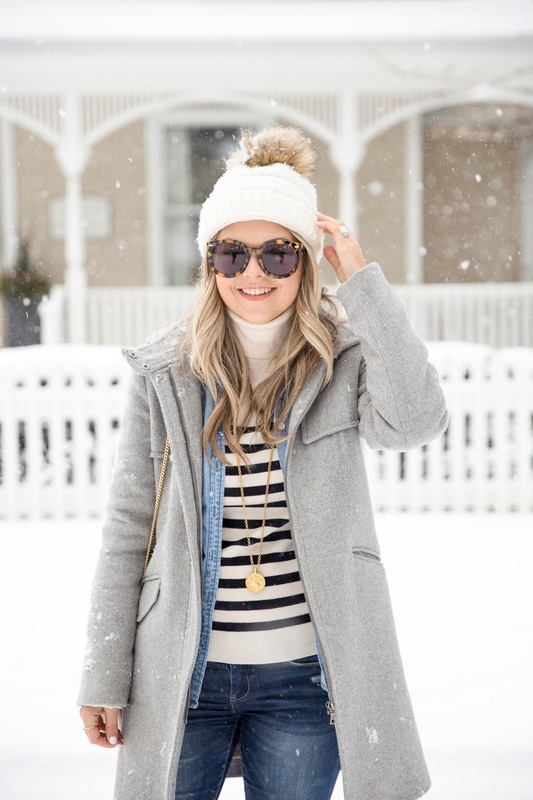 Looking flawless in this cute, bundled up combo! 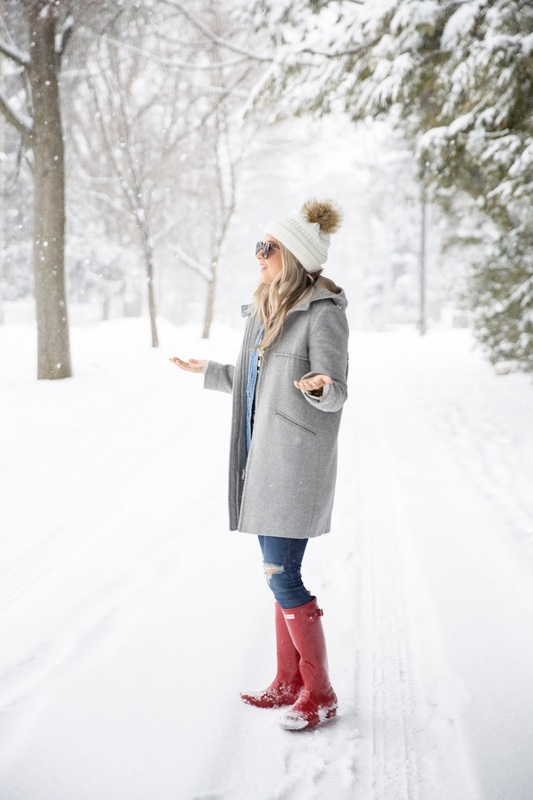 LOVE your coat and Hunter boots! 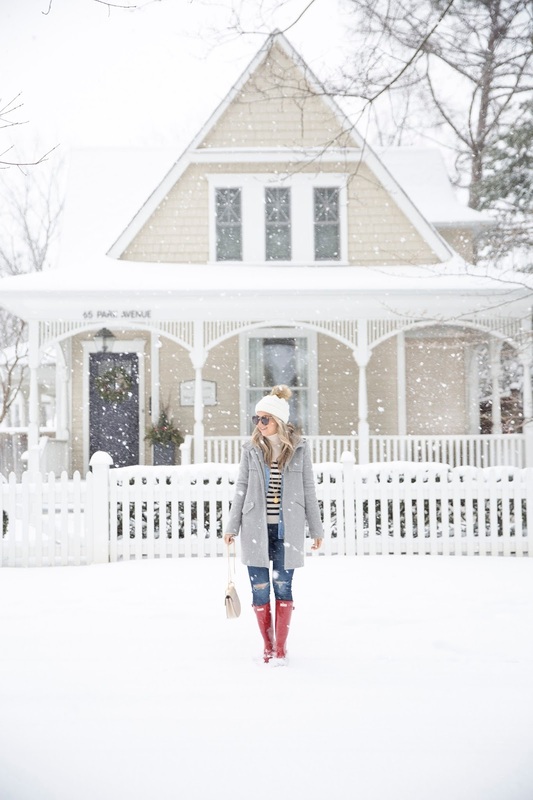 Another fab winter outfit and love the pop of red you added to this outfit. beautiful classic look. Hunters in the snow, awesome really makes me want some now. they are more than wellies. Beautiful photos. 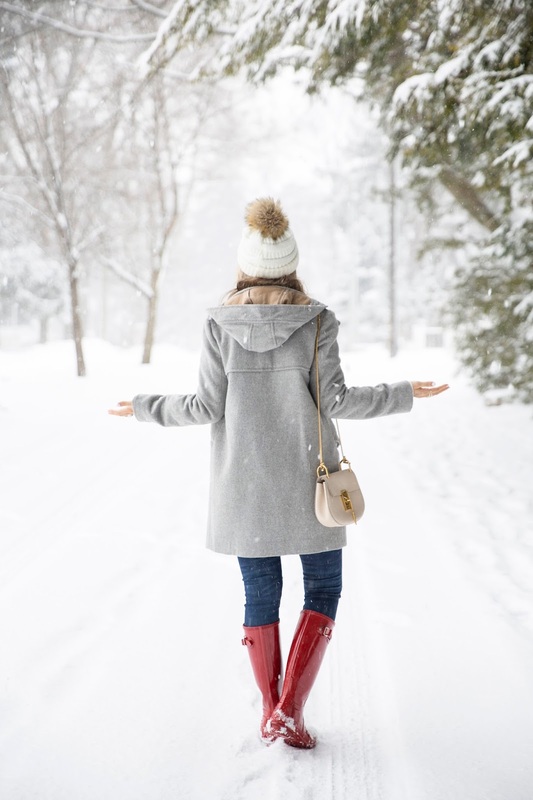 Love your coat!